During the winters of 1922-3 and 1923-4 the Anarchist Discussion Circle held a series of meetings at the Minerva Café at 144 High Holborn in London. The meetings on Saturday evenings at 7.30 p.m. were well-attended and regarded as great successes. However they failed to revive the fortunes of an anarchist movement that was in decline. Collections were made at the Café for the funeral fund of the veteran anarchist Frank Kitz who died in 1923. Another meeting organised by anarchists took place at the Minerva Café when Rudolf Grossman (aka Pierre Ramus) spoke at a meeting on July 8th, 1925 on Lessons of the Revolutions in Germany and Austria from an Anarchist standpoint. The meeting was chaired by Emma Goldman. What was the Minerva Café? The Minerva Café had been set up in the headquarters of the Women’s Freedom League (WFL) which had been founded in 1907 as a breakaway movement from the Women’s Social and Political Union led by Emmeline and Christabel Pankhurst. Those who departed objected to Christabel’s autocratic behaviour. They also objected to the tactics of the WSPU, which involved window-breaking and bombing. One of the leading lights of the WFL was Charlotte Despard who developed non-violent tactics under the influence of Gandhi. This meant for example women chaining themselves to grilles in the House of Commons and tax withdrawal. During the First World War the WFL, unlike the WSPU, took an anti-war position and were involved in setting up the Women’s Peace Council. After the vote was partially obtained the WFL concentrated on gaining the vote for women under thirty and campaigns around equal pay and equality of morality. They encouraged women workers organising and supported strikes of women workers. Leaseholders of the premises included Despard, Dr. Elizabeth Knight, Octavia Lewin, Alice and Edward Green. The Café opened in June 1916.The Café advertised itself as providing “dainty vegetarian lunches” and indeed many members of the WFL, including Despard, were vegetarians, as were many in the WSPU, although there is no evidence that any of the Pankhursts were. Maud Joachim, writing in her account of imprisonment and force feeding, My Life in Holloway Gaol (1908) remarked that: “It is a strange fact that many of the militant suffragettes are mostly recruited from the mild vegetarians and the authorities have allowed us a special vegetarian diet”. The Café ran at a considerable profit, which was used to finance the WFL’s activities. 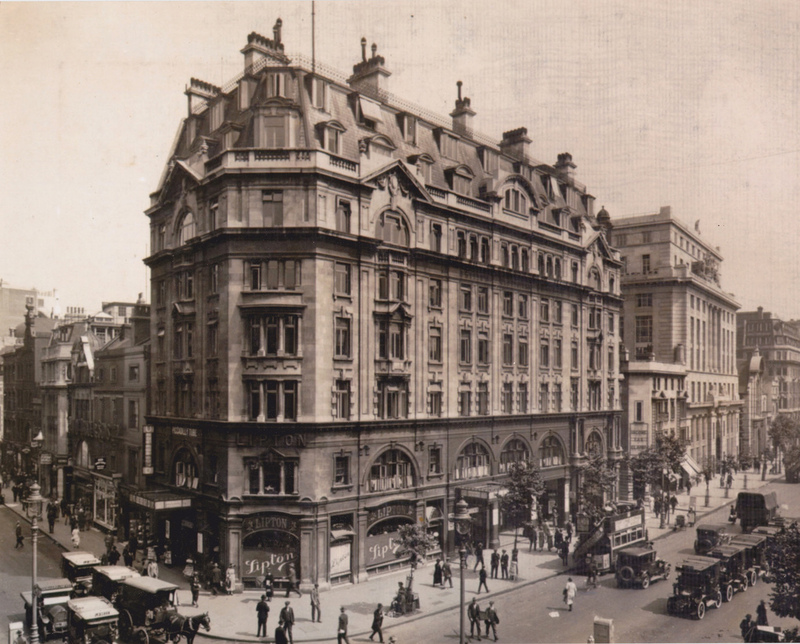 The High Holborn premises housed not only the café, but club rooms, archives and accommodation for women. The Australian Miles Franklin, author of the feminist classic My Brilliant Career in 1901, later adapted as a successful film in 1979, worked as a cook in the Minerva Café in 1924 and lodged in the attic. The Café acted as a focus in the fight to obtain the vote or women under thirty and attracted feminists of all persuasions. The Emily Davison Club met at the Café and in 1926 the first reunion dinner of the new Suffragette Fellowship was held there (The Emily Davison Club was set up to perpetuate the memory of Davison who had famously died under the hooves of the king’s racehorse in 1913; The Suffragette Fellowship was set up 'to perpetuate the memory of the pioneers and outstanding events connected with women’s emancipation…). In the early 1920s Dora Montefiore (now on the executive of the Communist Party) organised a reunion dinner there with other erstwhile suffragettes, including Despard, Knight and Sylvia Pankhurst. The Café was not just used by suffragists and anarchists, but by a wide range of different groups. The British Socialist Party which had evolved from the Social Democratic Federation, and was to go on to be an important component of the Communist Party, met there on a fortnightly basis for “speeches and discussions” according to the memoirs of the filmmaker Ivor Montagu, who in 1917 had contacted the BSP with the aim of joining it. Curiously he referred to the Café as “a haunt run by women anarchists”. Sylvia Pankhurst’s Communist Workers Party also met at the Café in the early 1920s. A meeting of Communist Party ex-servicemen met at the Café and were addressed by veteran Communist Dave Springhall in June 1928 and was the subject of an undercover police report. Others who met at the Café included campaigners for Indian independence as well as the English Gymnosophical Society, the first naturist organisation in Britain, which met there between 1922 and 1926. Another endeavour of the WFL was the Minerva Club, set up at 28a Brunswick Square and funded by Dr Knight and Mrs Fisher. Knight also furnished the Club. There was a very long lease on the premises and it acted as a hostel for women activists. It too was used for meetings. In the 1950s the lease for High Holborn ran out and they moved their headquarters to Brunswick Square. After World War Two, it was still used residentially, and finally disappeared in 1962 with the brutalist development of the Brunswick Centre. As for the site of the café, an eleven story office block now squats there. Ken Weller talks about the cross-pollination of different groups, organisations, interest groups and cultures in his Don’t Be A Soldier!, and the “rebel culture” he describes there surely lived on in microcosm at least at the Minerva Café until the late 1920s. This is really great. It would also be really good if there were a photo of it anywhere. Anyone know a good place to find historical photos of London streets?